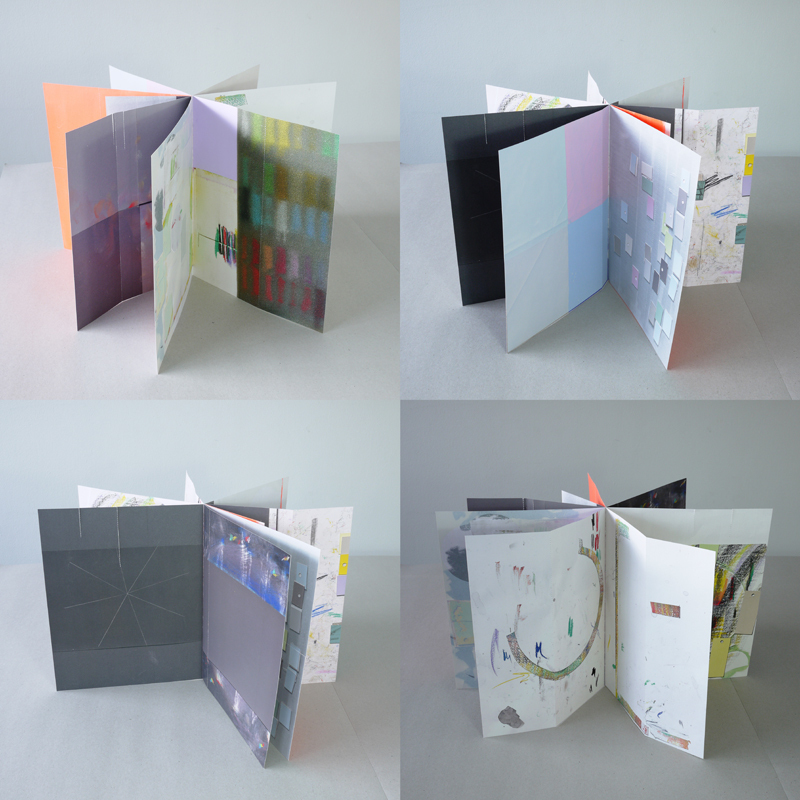 Sculpture artists’ book by Eygló Harðardóttir. 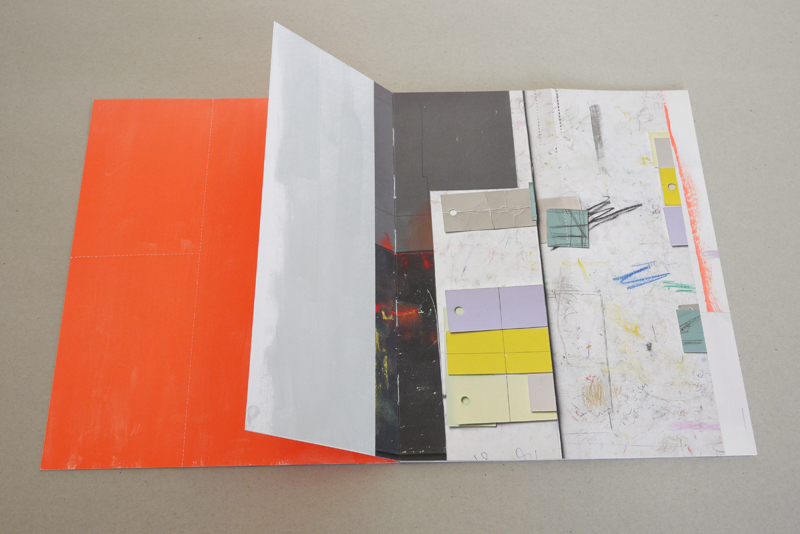 In Eygló’s artbook, Sculpture we find a natural bridge between an object of art and printed matter. 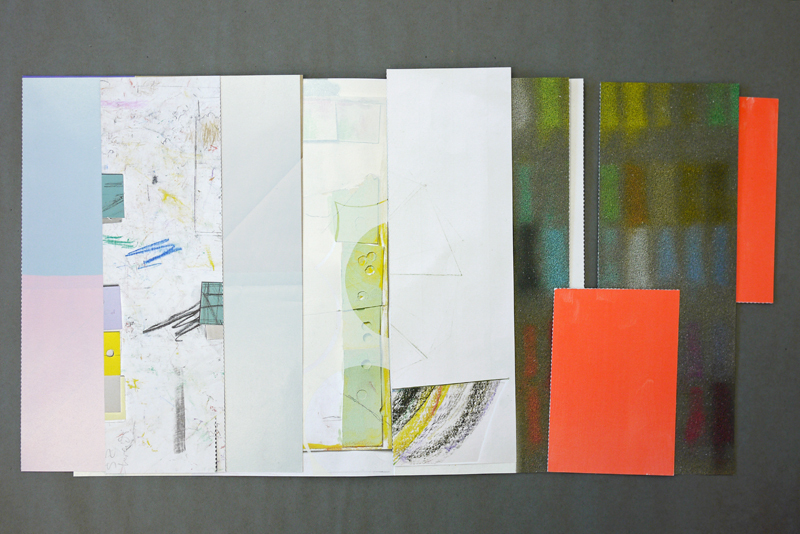 This is seen in Eygló’s aim to merge awareness of material, composition and color layers with the possibilities of a changeable book form. The binding is loosely stitched, enabling flexible folding combinations. Perforated patterns appear on some of the pages, creating various options of bending and tearing some of the parts. Sculpture is printed in 200 copies, signed and numbered. Offset printing four color CMYK, three pantone spot colors, one hand painted color. Paper: Munken Kristall and Munken Polar 300g/m2. Perforations both machine- and hand made. Hand die-cut. 16 pages, size 24 x 30 cm/dimensions variable. Home » Works » Artists’ book 2016 "Sculpture"